Practically the whole of 1903, Pablo Picasso spent in Barcelona, ​​where he made many friends. For some of them, a very young artist at the time wrote portraits. Among the lucky ones was Soler, a fashionable tailor of the time helping young artists. It is known that Soler gave clothes in exchange for paintings, because Pablo Picasso, like most artists, led a semi-poor lifestyle. “Portrait of Soler” was not the only work written for a friend. Throughout the friendship, which lasted more than one year, the artist worked on the paintings dedicated to Soler, also depicting the family of a famous tailor. In this portrait, Soler is depicted sitting alone at a table in a cafe. The face is made in yellow shades with a clear drawing of all the small details. The artist portrayed his expression melancholic and sad, which was truly inherent to a friend. The background is depicted in very dark tones, even peeping hands from under the clothes look pale and muffled, the whole accent of the picture is enclosed directly in the face, which looks like a bright spot, amid deep twilight. Pablo Picasso in his work sought to identify the elegance and artistry inherent in Solera. Show all the beauty of a thin face with a neat little beard and raised tips of a thin mustache. It is in the tailor pale and ghostly, with a slight nervous tension present. 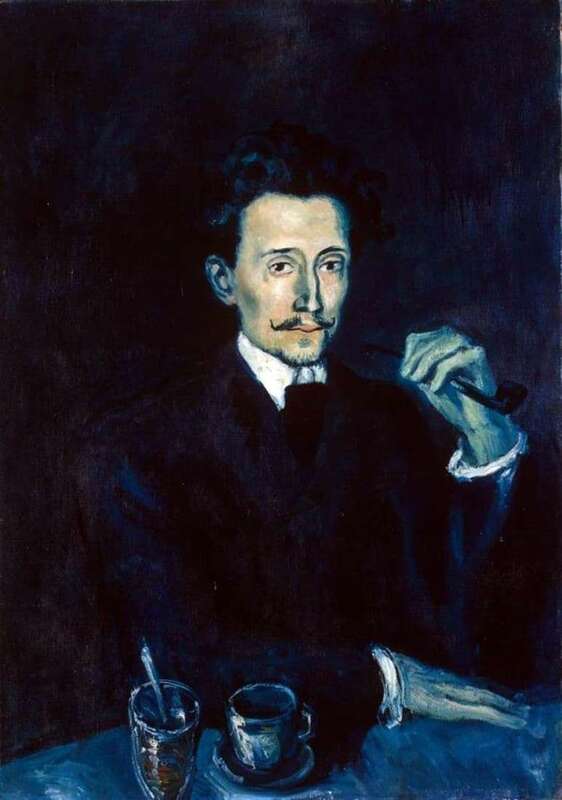 Looking at the “Portrait of Soler”, made in dark blue-green tones, we see a person sitting in front of us, whose eyes are full of sadness and loneliness, imprisoned among people. It was these feelings and visited Picasso himself at a certain period of life. Perhaps in the image of a friend who is close to the artist in spirit, the young Picasso reflected his inner world, with his inherent emotions.